& here you are with a line of length 10 units. 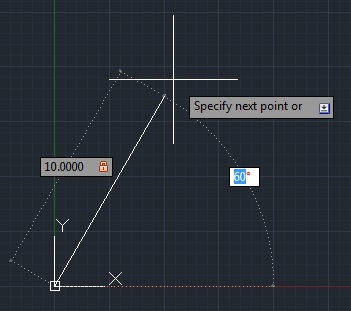 Type ’60’ for 60 degree angle and press Enter. To finish Line command press Enter again. 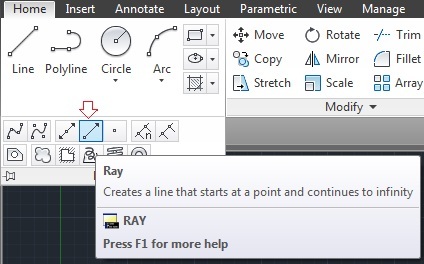 RAY Specify through point» 5,5 or You can enter length and angle (Toggle with Tab key) . Press Enter. 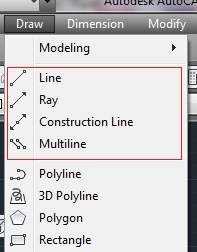 Purpose of using Construction line is to align entities in one line which are far away from each other. While constructing Top, Front and Side view of drawing Construction line is used most extensively. 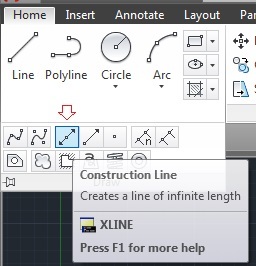 Command Line: XLINE Enter angle of xline (0) or [Reference]: 30 (Construction line will be 30 degree angled to x axis) or Type ‘R’ to draw Construction Line with angle referenced to any existing line in Drawing. 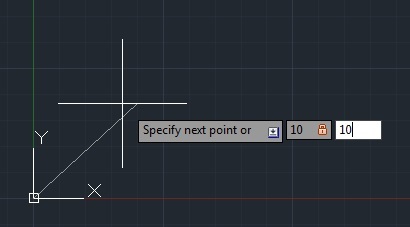 A Construction Line bisecting at 45 degree in 1st quadrant will be drawn. 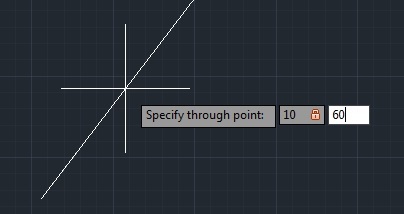 Construction line will be drawn 20 unit distance offset to selected line in Drawing.